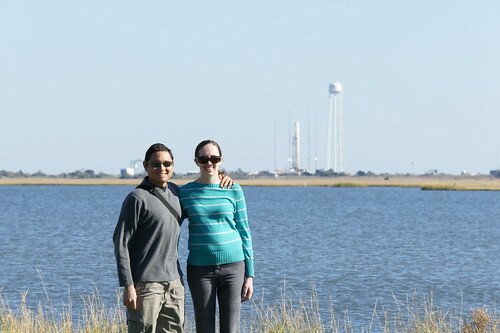 Went to Chincoteague again over the weekend for some hiking and seafood and ponies, to see the island in the Fall and hopefully see the Antares rocket launch. Sadly launch got delayed to the Monday and then the Tuesday after — and even more sadly, the rocket then exploded. 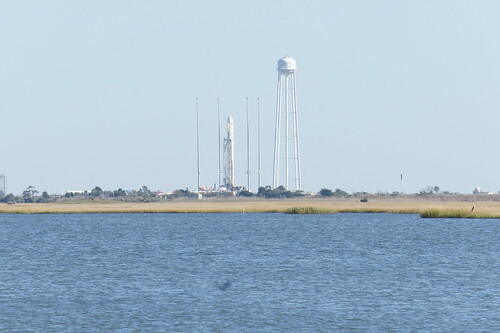 We at least got to see Antares intact on the launch pad from Arbuckle Neck. 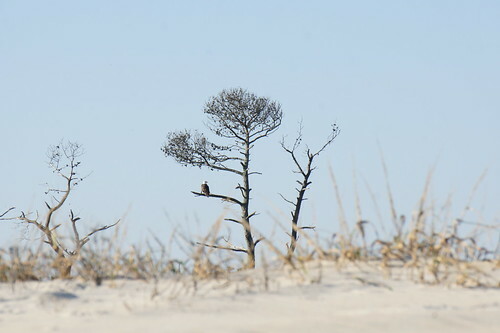 It was a good afternoon for a long walk down Assateague National Seashore. 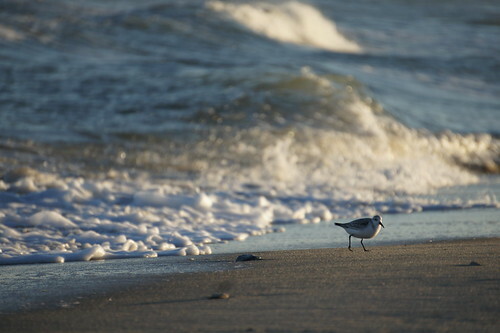 Some brave souls were even swimming in the cold waves but we stayed dry; Amy picked up shells and I took photos of birds and remnants of various aquatic creatures. 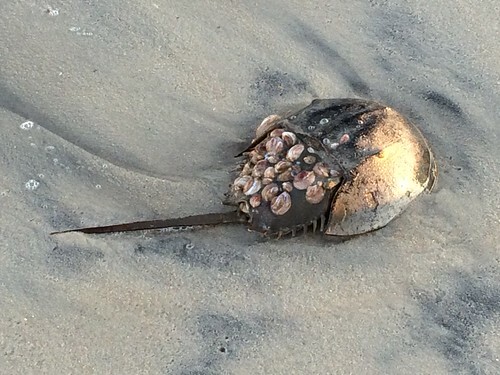 We found a horseshoe crab struggling feebly on its back, its carapace thick with attached barnacles and slipper shells. I picked it up and moved it closer to the water but it didn’t seem to be doing so well. 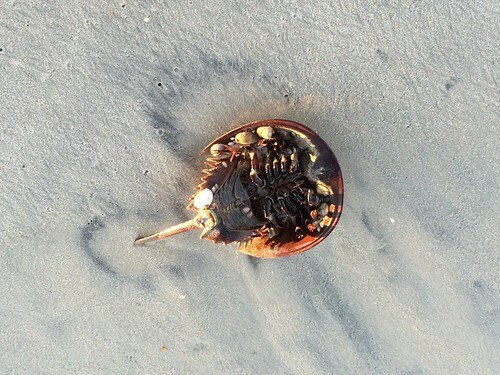 Sorry, horseshoe crab. 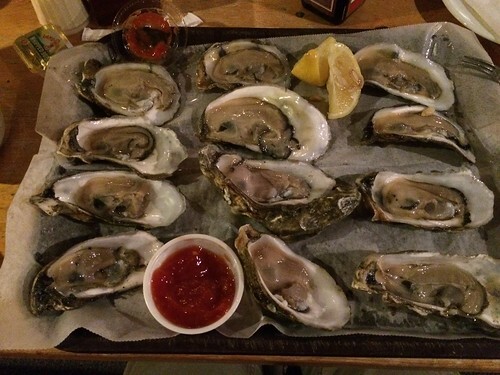 For dinner I had a dozen oysters and a salad. 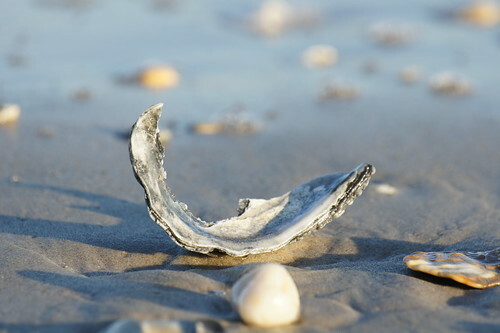 Chincoteague Salts are as briny as an oyster gets, grown in waters fully exposed to the Atlantic Ocean. Salty is how I like them. 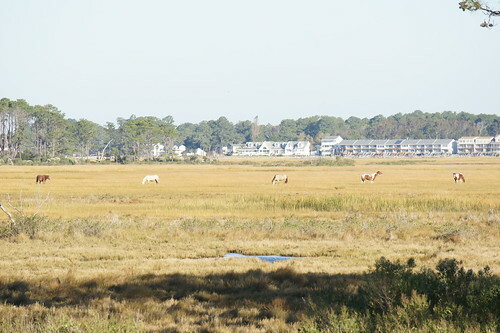 We stayed at the Refuge Inn overnight, on the southeast bank of the island near the wildlife refuge, with a lovely room and a view of the pony pen. 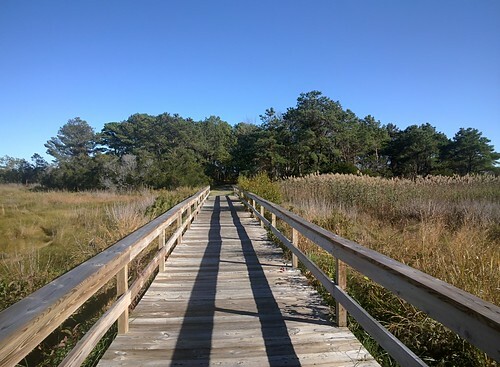 Next day was taken up by lots of hiking, especially along the Woodland Trail with its Wild Pony Overlook and tributary Bivalve Trail which led to Tom’s Cove. We were able to see several ponies. 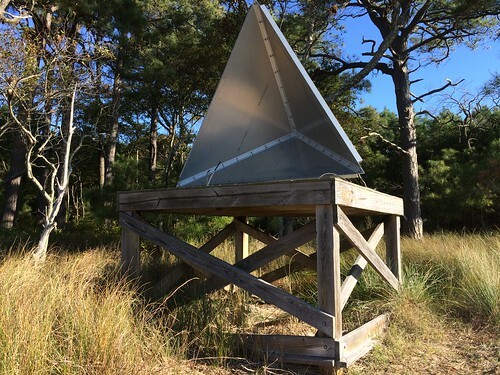 And on the beach along Tom’s Cove we found this device pointed at the Wallops launch facilities, possibly a sound measurement aid to gauge acoustic impact on the wildlife refuge. We also tried walking the Black Duck Trail, actually a mile-long bike path connecting one end of the Woodland Trail to a section of the driveable Wildlife Loop, but after the first quarter-mile of walking by ponds with birds and turtles the walk gets mostly featureless so we turned back and just headed straight to the Marsh Trail. 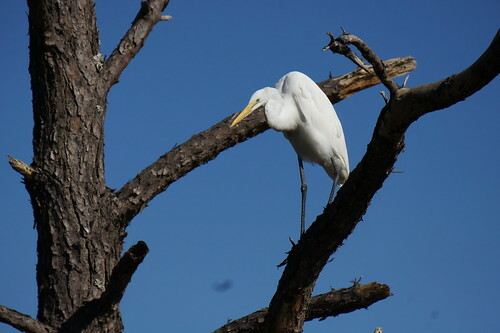 Nice views of herons, though. Marsh Trail didn’t have a lot going on; next time we need to try going there early in the morning. 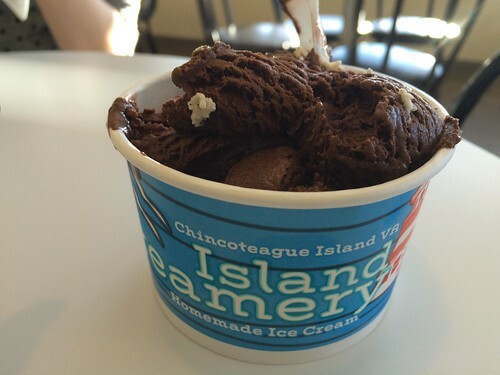 Before heading home we stopped at Island Creamery for some ice cream, and I finally got to try their “Wallops Rocket Fuel” flavor: chocolate, cinnamon, and chili. That’s a spicy ice cream. 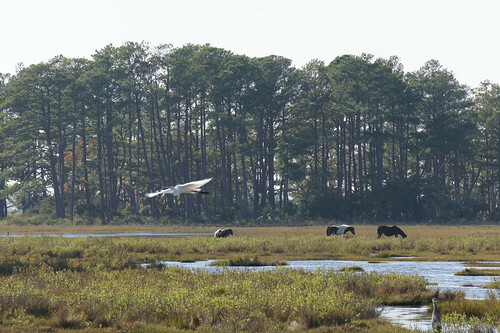 Chincoteague’s always a nice visit in any season. Wish we had an extra day or three. Full photo album here.